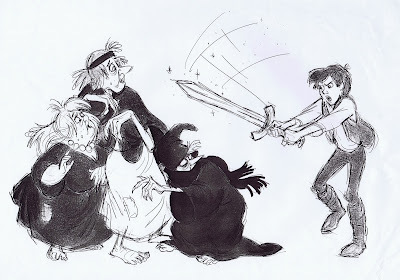 I drew these characters from The Black Cauldron in this this publicity still a zillion years ago. And yes, I tried too hard to make them look good. There is way too much focus on details like hands, fabric folds and fur. The staging and overall compositions are pretty weak. Embarrassing, There is no flow in these poses, everything looks overly chiseled. The humans in the photo are director Ted Berman on the left, then producer Joe Hale and director Rick Rich. I did a little better in some of these pieces. 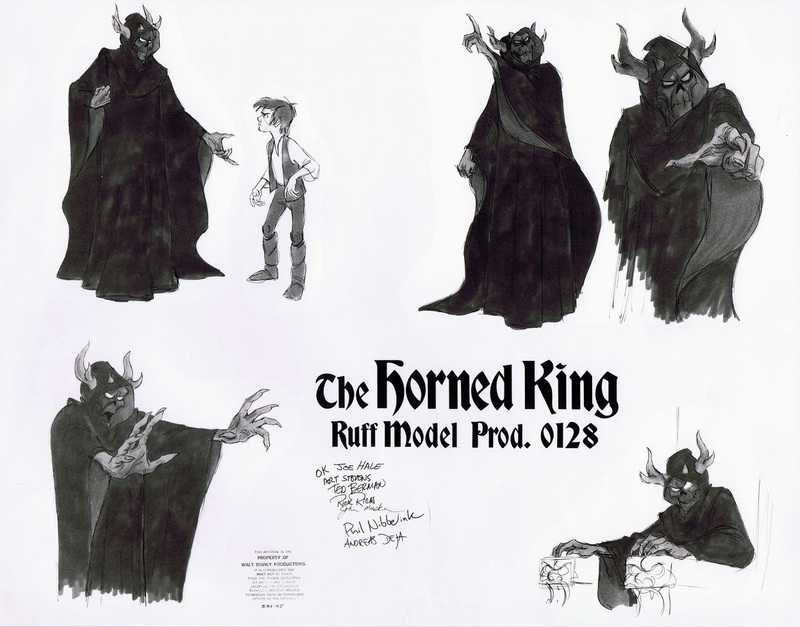 A model sheet of The Horned King, signed off by SEVEN people. A development sketch of Taran facing the Witches of Morva. Could be much better, but at least the composition reads ok. 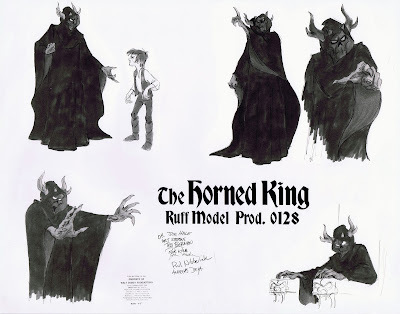 I am going to brag a little about this drawing, it shows a visual idea for the Horned King's henchmen. 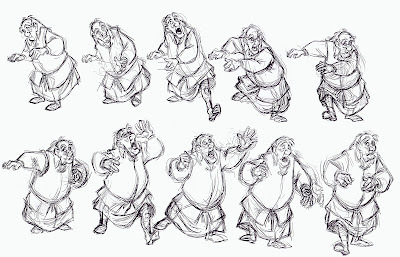 Marc Davis came by the studio to see what this new, inexperienced crew was working on. 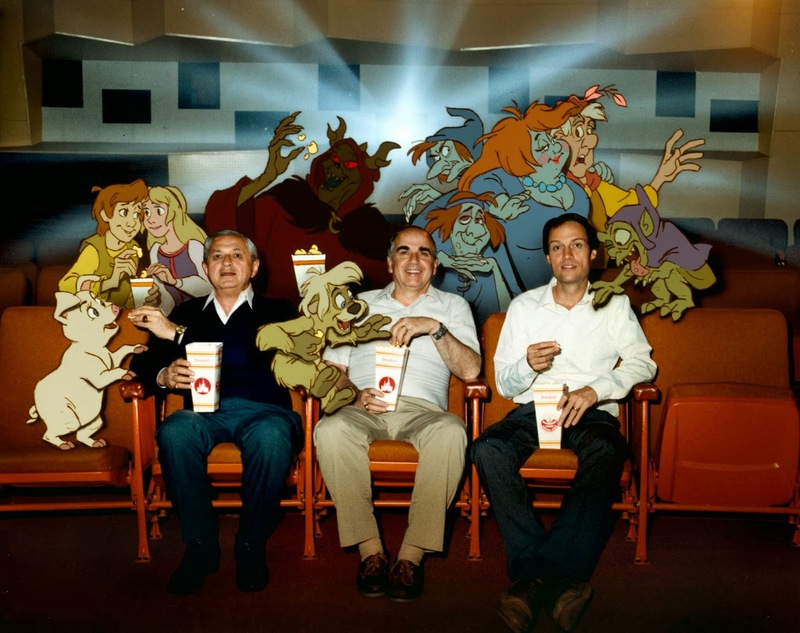 I remember him walking down a hallway, storyboards with design work on each side. He stopped at this sketch and said: "That's a great drawing." What? Did I hear right? I swear I remember Marc's comment as if it was yesterday. These are my key drawings for a scene with Dallben. He is talking to Taran and taking a few steps toward the boy. 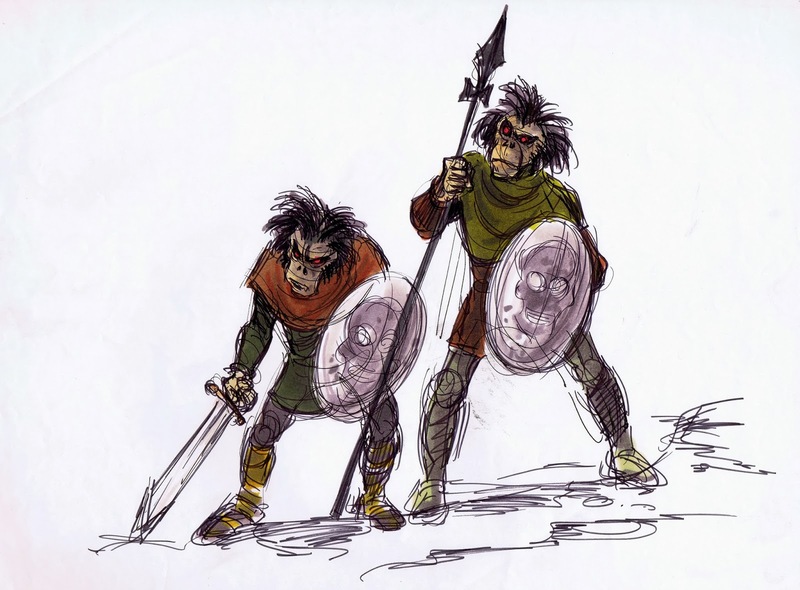 They don't look too shabby, and the animation isn't all that bad either. But when I saw it in color I realized that the motion was strobing, the scene should have been on one-s. This animation thing sure is a learning process.